Game jams are a great melting pot of innovation and creativity put under pressure by a looming deadline, with some wonderful experiences emerging from the long weekend. Global Game Jam – which made its annual appearance on the last weekend of January – was certainly no exception. Game creators from across the world got together at various locations on our little blue planet and spent 48 hours making a huge variety of games. At the time of writing, over 9,000 games have been submitted; ranging from small experiments by lone devs to polished AA experiences from seasoned professionals. All following this year’s poignant theme: “What Home Means To You”. This wonderfully interpretive theme has forged experiences and games which are personal and sentimental to those who created them. From games about moving, decorating and relaxing, to love, loss and tragedy, this year has been incredible for the sheer range and emotion in the games produced. I absolutely recommend you browse around the Global Game Jam games, search for those made in your town or country and celebrate the personal creations made by those around you. A charmingly adorable short game where you – a turtle with his house on his back – reunite families of animals at their homes across this light platformer. 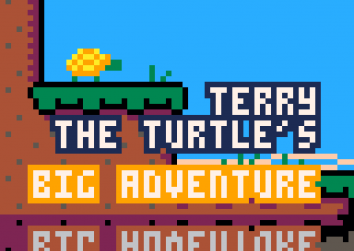 Featuring expressive pixel art, lovely music and wonderful little touches throughout the game, Terry The Turtle’s Big Adventure is certainly worth five / ten minutes of your lunch break to experience. 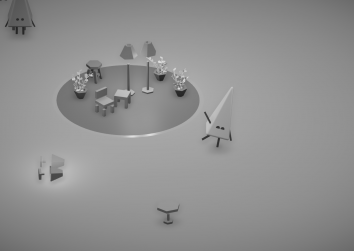 A warmingly minimalist game where “home is what you make it” – Heima has you arrange the assortment of furniture flung into the scene in your central home, and explore surrounding areas befriending other polygonal folks. A cute take on the theme combined with the surprisingly fitting music generated by JukeDeck’s AI makes Heima a pleasure to lose yourself in for a while. I couldn’t help but include this one, as it brought a huge smile to my face whilst watching the stream of games being made during the event. Destructive Kitty is a ridiculous physics-based game where your goal is to mash your keyboard to make as much money as possible. During your efforts, your cat flings itself angrily around the room destroying your possessions and racking up heaps of debt. The cat is fantastically expressive and I couldn’t stop laughing whilst trying to keep its destructive behavior in check. A poignant take on the theme, Hobo Sim is a rather harsh micro survival game where you rustle through the bins, cars and dumpsters of the city gathering food to eat, paper to burn for warmth and bottles to sell for cash. Survival is difficult, and the game doesn’t explain any of the mechanics which works well in its favour of portraying the harsh existence of the homeless. One of my favourites of the GGJ for how far it has placed itself from the main bulk of feel-good games and makes a statement about the harsh reality of homelessness. An impressive implementation of mechanics for the 48 hours allowed in the Global Game Jam, Lost The Plot has you frantically defining rooms of a house by drawing on the floor. Family members will then demand you place specific furniture as quickly as possible, which creates a frantic juggling of defining rooms, remembering which room is which and placing the correct furniture. Fail to juggle these correctly, and the family gets pretty unhappy at your architectural talent. The core mechanic of drawing walls and defining rooms is solid, and I’d be interested to see Lost The Plot developed further into a fuller title. I love silly games, the emergent hilarity that comes with making a game mechanic based around a liberal use of physics. Home Joggings delivers this with a polished two-player racer, where you are literally a house bumping and stumbling into bits of the neighbourhood as you race laps around a track. Built by a sizable team in Argentina, this is definitely a game you and a friend should shout at each other whilst knocking the other into trees and nearby homes. With an eerie combination of dark noir colouring and a small Victorian-looking girl, I was expecting a horror / psychological experience from Retwined. Instead, I got a thoughtful puzzle game blending time-rewinding with multiple characters which produced intriguing challenges. Juggling manoeuvring props into the right places, selecting the correct character and then reversing time – which has a very nice, if creepy, distortion effect – kept me entertained throughout the play through. Definitely worth playing through, especially given it won “Best Game” at its local site! Ending on a high note, Where Are My Pants? explores one of the key phrases for “home” which came out during brainstorm: “Home is where you can be naked”. Where Are My Pants? is a decent and funny stealth game where your open-air freedom is interrupted by family and guests, so you must hide behind furniture, shimmy through doors and keep out of sight as you hunt down your necessary nemesis: pants. Again, these are just a tiny fraction of the games made during the 48 hour jam, please please take some time to check out some of the thousands of other games lovingly created over the weekend, and let us know here or over on Twitter of any favourites you find! UI / UX Designer. Web and games making person. Spends more money on Steam than food. Hi Daniel, I’d love to give it a go and provide some feedback! Do you have an itch.io page, Twitter or email I can contact about it? Really good read! Thank you for playing our game, and thank you for sharing such amazing games made during the jam! We can’t wait for GGJ20!